The People add-on creates a new interface within the Event Espresso 4 admin for managing people associated with an organization and/or event. People can be organized by type (e.g. as staff (default option) or volunteer, speaker, sponsor, etc) and categories. Need to Buy a Support License for the People Add-on? Download the latest version of the People add-on from your Event Espresso account. 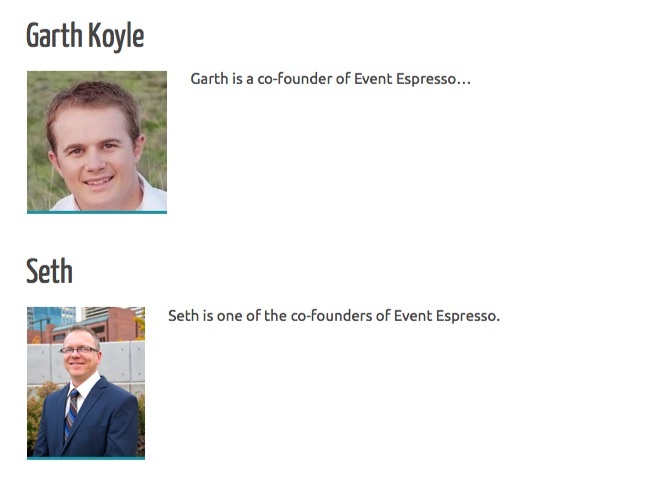 Login to your WP dashboard and go to Event Espresso –> People Admin. You’ll now be viewing the overview screen for the People add-on. From the People overview screen, click on Add Person. This will take you to the person editor for Event Espresso. You’ll notice that the layout is similar to the event editor with some options that are applicable for a person’s contact information. Full name, first name, last name, and email is required. Other fields are optional. Full name, description, and featured image are used on the people listings page (e.g. example.com/people/) and single person page (e.g. example.com/people/full-name/). First name, last name, and short biography is used on the single event page (e.g. example.com/events/my-event-name/). 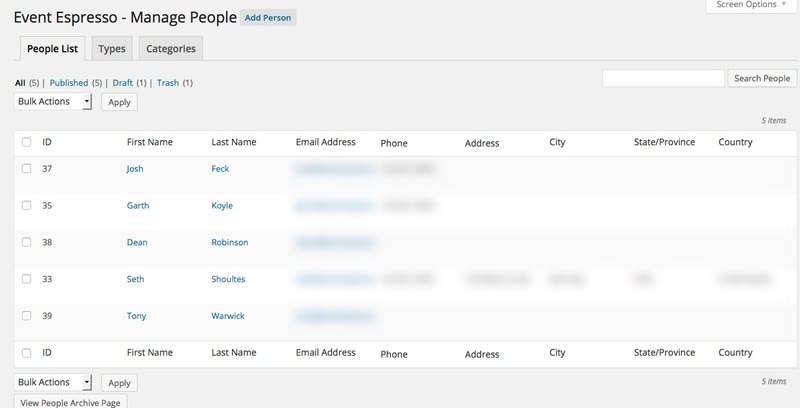 Other information such as the person’s phone number and email are shown in the people overview screen within the WordPress dashboard (WP-admin). 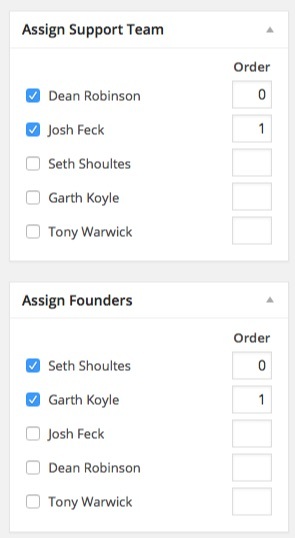 The display order can also be customized in the event editor, by adjusting the “order” value. We plan on adding drag-and-drop functionality in the future. People archive pages are automatically created using WordPress Custom Post Types and can be easily added to a WordPress menu or customized by a designer or developer. Are you running a current version of Event Espresso 4? This add-on needs at least version 4.6 to activate.